As you drive along the 25-km Western Express Highway in Mumbai, every second hoarding is that of actor Kangana Ranaut promoting brand Liva - Aditya Birla-owned, Grasim Industries' brand of fabric that promises comfort with excellent fluidity and flow. This is the first time that a fibre manufacturer has invested in branding raw material - the Viscose Staple Fabric, a natural fibre that Grasim has been manufacturing since Independence. Besides, it has partnered with 22 apparel brands to create fashion using Liva fabric. But, is the consumer really bothered whether his or her clothing is made out of VSF or cotton? "People know about the fabric, they like it and want to buy it," says Dilip Gaur, Managing Director, Grasim Industries, adding that the 'intent to buy' Liva scores has gone up three folds ever since the company launched the brand one year ago. Autumn-Winter 2016, claims Gaur, has seen the manufacture of 8.6 million Liva garments and, by the onset of Spring-Summer 2017, 10 million Liva garments will hit the stores. "China is becoming more expensive, so India definitely has traction. There are at least 15-20 large companies wanting to spread risks outside of China, so, good companies will benefit"
While Liva is the first fabric brand from the Grasim stable, India will see the launch of yet another viscose brand that would have all the properties of cotton. In fact, from being mere commodity companies that supplied to larger apparel brands across the globe, brand building is becoming the sought-after method of assuring growth for most Indian textile companies. The Rs 2,000-crore Indo Count Industries, which gets over 65 per cent of its revenues by creating premium bed linens and bedding solutions for iconic global retail brands, such as Macy's, Debenhams and JC Penny, has recently launched its own premium bed linen brand, Boutique Living. "As we do more fashion bedding business, we want the consumer to buy them under our brand also," says Mohit Jain, MD, Indo Count. Apart from launching its own brand, the company has also added international licensed brands, such as Harlequin, Sanderson and Scion, to its portfolio. Arvind, which already has a portfolio of branded apparels that contributes close to 30 per cent of its revenues, is also looking at creating Arvind-branded fabric. "Our strategy has been not to put assets, but build brands," says Sanjay Lalbhai, Chairman, Arvind. When he talks about creating branded fabric, he refers to creating innovatively structured fabric and fibres. "We have the technology to do denim categories. This was, otherwise, not possible. We are doing indigo corduroys, 100 per cent woollens with indigo, indigo in lycra, among others," adds Lalbhai. The branded play may not be the only reason, but has surely played a significant role in ensuring robust growth of the textile and apparel companies. The sector has been the biggest gainer (19.8 per cent) in terms of market cap in the past one year. "Most textile companies are doing a lot of consumer-facing activities, unlike earlier, when they only focused on B2B businesses. This is clearly reflecting on the market cap," says Kavindra Mishra, CEO, Pepe Jeans. In fact, Grasim, says Gaur, decided to have a relook at its business in 2014 when its profitability had dipped to low single digits. This was the time when the VSF category was growing over 4-6 per cent globally, but was stagnant in India. "We realised that if we continue to be a fibre supplier, we will remain a commodity player and will not be able to grow. Hence, we got into specialty fibres, including modal, dope-dyed fabrics, etc., which constitutes 35 per cent of our revenues, today, and has ensured a 10-12 per cent year-on-year growth." Grasim's market cap in the past one year has grown from Rs 32,816 crore to Rs 37,587 crore. For close to a decade, the biggest challenge for most Indian textile companies was China. But with cost of production and labour going up significantly in the neighbouring country and growing domestic demand, a number of international apparel brands have now started looking beyond China for sourcing. Says Arvind's Lalbhai: "China is becoming more expensive, so India definitely has traction. There are at least 15-20 large companies wanting to spread risks outside of China, so, good companies will benefit." Jain of Indo Count agrees: "In fact, we have also started exporting to China since the past six to eight months." The China growth story also seem to be on a decline in terms of global brands wanting to make retail forays. 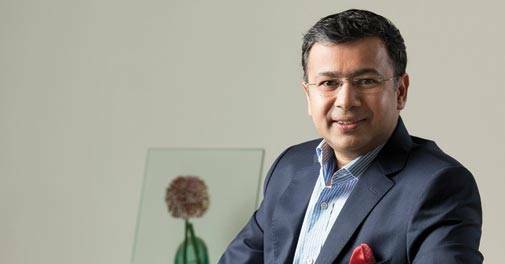 Says Mishra of Pepe: "For international brands, India is the market with highest growth rate. The consumption story is growing here." And, Grasim's response to the China challenge in the past couple of years has been to enter into the speciality fibre space. "China dumped at a lower cost. The only option we had was either allow them to take our market share, or match their price. If we matched their price, we would not have got the desired margins. Therefore, we decided to make specialised fibres that would give us a clear edge. The strategy has paid off," says Gaur. "As we do more fashion bedding business, we want the consumer to buy them under our brand also. In fact, we have also started exporting to China since the past six to eight months"
According to Vasanth Kumar, Executive Director, Lifestyle International, Max Retail Division, Indian textile and apparel companies will see the next level of growth from the domestic market. This is primarily due to more and more Indians wanting to wear branded apparels. In fact, consumption of branded apparels has grown by 25 per cent in the past one year, at a time when market sentiments were subdued. "The branded denominator has gone up and it will definitely reflect on the market cap," says Kumar. Govind Sharda, President, Nandan Denim, which manufactures fabrics for most leading denim brands, echoes Kumar's views. By the year-end, the company is expected to manufacture 110 million metres of denim fabric every day, compared to 99 million metres last year. "The fastest-growing segment is premium denims, which is growing by over 20 per cent, and bulk of the consumption is happening in the domestic market." Though the Indian textile and apparel companies have a bright future, industry stalwarts believe that they have to innovate and bring scale to their business. 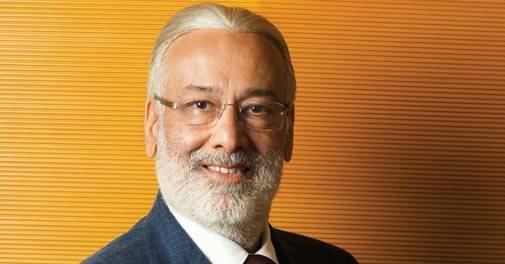 "As far as textiles is concerned, we will become strategic partners to at least 10 of the largest global brands or retailers by adding garmenting capacity," says Lalbhai, adding that the next level of robust growth will come only if the textile companies control the entire value chain. "We will give them the fibre and the garment that will be ready to go to retail stores. Brands want time to be crashed. So, if you are not controlling the value chain you will not be their preferred choice."